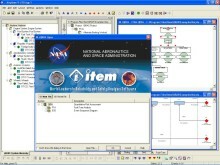 ITEM ToolKit is a suite of comprehensive reliability prediction and reliability analysis modules for analysing the Reliability, Availability, Maintainability and Safety of electrical/mechanical components and systems. It conforms to well established and recognised standards and techniques. 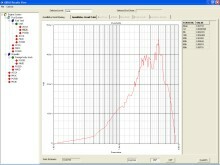 ITEM QRAS (Quantitative Risk Assessment System) is a comprehensive Windows-based software tool for conducting Probabilistic Risk Assessment (PRA). Utilized by Aerospace, Defense, Health Care, and other industries, this patented scenario driven, software allows the analyst to conduct Probabilistic Risk Assessment on any system or process. Based upon NASA NPR 8705.5, iQRAS easily evaluates the risks related to complex and time dependent sequences of events. The analysis capabilities provided by iQRAS include cut-set analysis, risk level quantification, Fault Trees, scenarios, and end states. This includes the ability to compute uncertainty distributions. 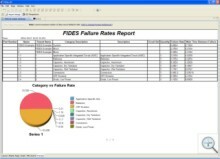 iQRAS provides a full graphical user interface, including editors for Fault Trees and ESD combined with analysis screens providing results in tabular and graphical formats. All analyses are carried out using Binary Decision Diagram (BDD) technology, the new performance standard in Fault Tree Analysis. BDDs are now widely recognized for their speed and accuracy. ITEM QT is an extraordinary collection of new capabilities that provides a customizable, cross-platform, multi-user, open frame-work. Built on proven and recognized analysis engines, iQT is a revolutionary approach to reliability, safety, and risk analysis software tools. With iQT, you are no longer limited by the technology choices of software vendors or chained to infrastructure requirements of their products. The iQT framework provides the capability for multiple users to simultaneously, yet independently modify any model or analysis in any project they have access to. The iQT quantification engines have been developed, performance refined and used worldwide for many years. They are a solid foundation for accurate analysis results. To download a free demo of our Reliability Engineering Software click here. Import and export to MS Excel, Access Word etc.